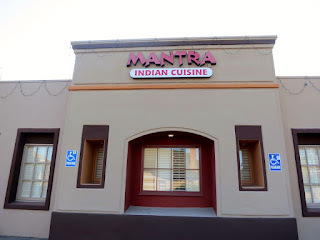 After having had a great experience at Mantra the last time I was in the area of Temecula, I headed back as soon as I could. 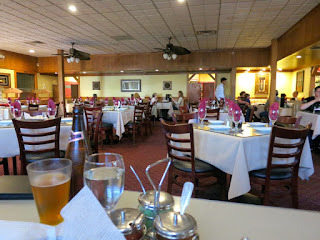 We arrived early on a weekday night and there were very few people in the dining area. We sat down and started munching on the papadums. As soon as I asked my server about the vegan items, he got really excited and told me he was vegan as well and they were collecting contact info for their vegan patrons. Sign me up! Based on his recommendation, we started with some Indian beer and an appetizer. 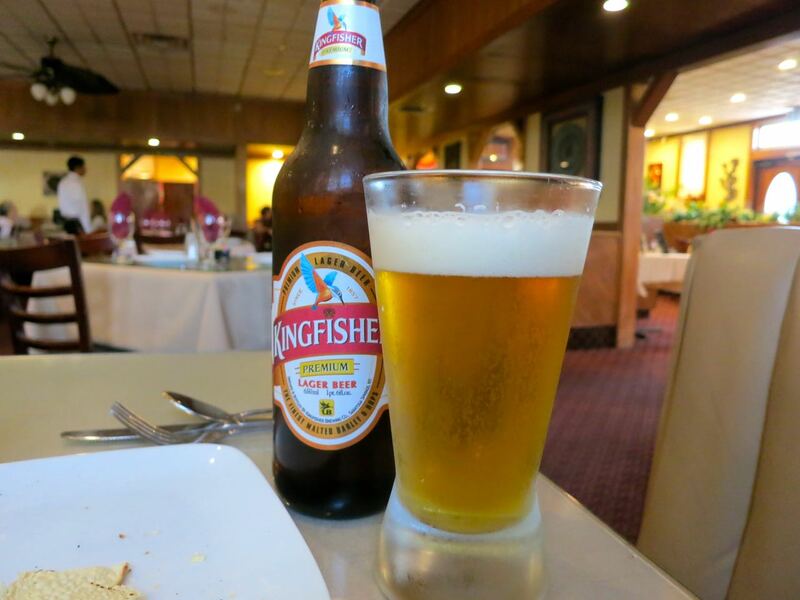 For the beer, I ordered the King Fisher and found it light and refreshing. 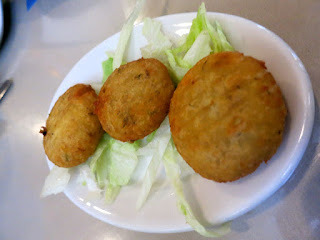 For the appetizer, we ordered the Aloo Tikki, which were deep fried patties of mashed potatoes with herbs and spices. Yum! We dipped them in the cilantro mint sauce. It turns out that many of the items on the menu are vegan or can be made vegan including the Chana Masala, Aloo Matar, Bengan Bharta, Bhindi Masala (very good! 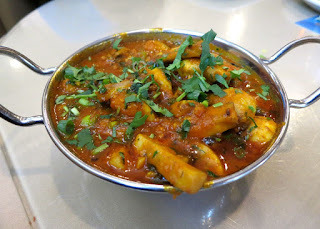 ), and Tofu Masala. They can even make the rice vegan even though last year they incorrectly told me they couldn't! And the Roti bread is vegan too. 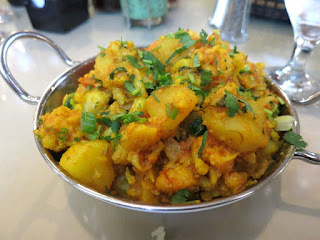 I went with the Aloo Gobhi, which is the simple dish of cauliflower with potatoes, with rice and Roti. It was super good and extra spicy! My friend went with the Garlic Mushroom, which he really liked. I didn't like it as much as my dish, but it was good. All in all, it was a great experience. 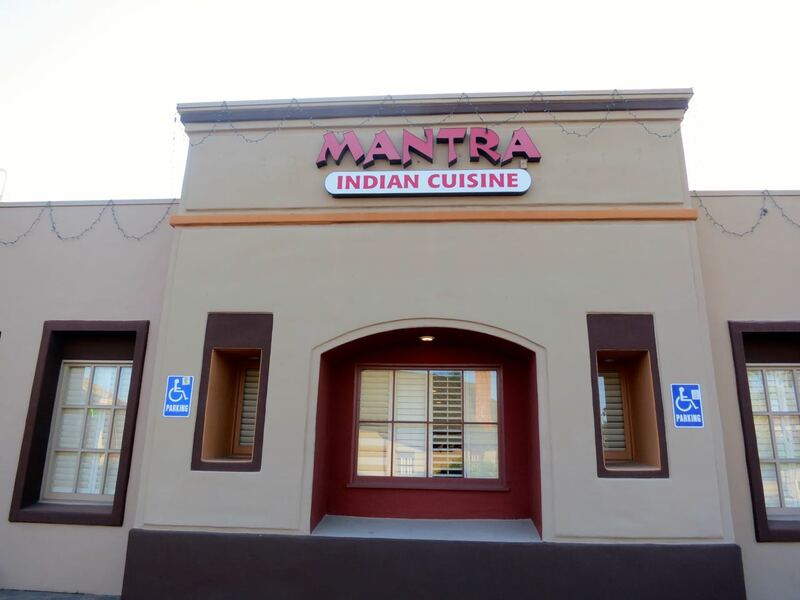 Good, flavorful food, entrees for $10, and great service. I will come back every time I'm around Perris or Temecula!